All sporting activities demand strength, flexibility, coordination and range of motion. The Gyrotonic Expansion System provides present and future athletes not only with all the above, but with a greater degree of endurance, versatility and gracefulness to perform all competitive skills and movements. Aside from adults and professional sports people, the method has enormous educational value for young children, who benefit tremendously from the exercises during a time of tremendous growth in their glandular development, dexterity, coordination and physical consciousness. The Gyrotonic method is used by people of all walks of life to improve overall functioning of the body. The versatility of the method allows one to use the exercises as an option for the strength training portion of their physical fitness regimin or as a way to compliment one's cross training efforts. 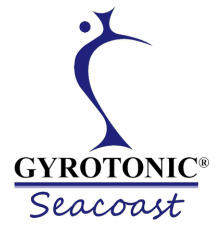 Many people have turned to Gyrotonic exercise in order to continue to correct biomechanical and postural issues that continue to plague them despite physical therapy and other techniques. Due to the specific guidance of the method, poor movement habits can be rehabilitated, leading to decreased injury or strain. Certain sports, such as tennis or golf, see greatly improved performance due to the rotational emphasis and joint and spine articulation. Dancers have found enormous benefit as a means of cross training to prevent injury and as rehabilitation from injury. The breath work is a unique aspect to the work which leads to improved neuro-muscular coordination, circulation and vitality. Many people have attested to improved mood and increased energy.